Even the rich should learn how to treat cancer at home for more reasons than one. First reason is that everyone has to treat themselves before the doctors do, during treatment and even after standard medical treatments, if one survives them. Oncologists do not teach their patients how to take care of themselves. It is naïve to think we just have to open ourselves to dangerous surgeries, toxic chemotherapy and highly dangerous radiation without some kind of buffer to help our body handle and survive the toxic storms and dangerous procedures. Additionally, supportive natural noninvasive treatments have their own ability to help the body eradicate cancer. My original title to this essay was ‘Get Rich or Learn How to Treat Cancer at Home’ because one literally has to be rich today to treat their cancer with mainstream oncologists. Cancer is incredibly costly disease to fight. The time it takes to develop cancer drugs, as well as their specialization toward a specific cancer type — or potentially even a gene or protein related to a targeted cancer — can make these products quite expensive. Based on a March 2014 report issued by the American Society of Clinical Oncology, the cost to treat cancer in the United States is expected to soar 40% between 2010 and 2020 to $175 billion. Keep in mind, these are direct cancer care treatment costs and don’t include the indirect economic costs of premature death and lost productivity. But, we’d like to think that all of the money being thrown into cancer research and new medications is serving a purpose by improving cancer patients’ quality of life and possibly prolonging their survival. Unfortunately, a fresh cancer care value study out of the Geisel School of Medicine at Dartmouth would appear to indicate that the vast amount of money being thrown at cancer care in the U.S. is only having a marginally positive effect on survival and quality of life. According to the two researchers, Samir Soneji and JaeWon Yang, who published their findings in Health Affairs, comparing the amount of money spent on cancer care in the U.S. relative to cancer care in Western Europe led the researchers to the observation that the extra spending in the U.S. did not always avert cancer-related death. Additionally, since 1970, researchers note that cancer death rates have only decreased by 12%, compared to heart disease mortality rates, which have declined by 62%. Cancer is a scary diagnosis in any form. Cancer can be a swift killer (depending on the type), making it a truly terrifying and difficult-to-fight disease. According to the latest statistics from the Centers for Disease Control and Prevention, cancer ranked as the second-leading cause of death in the United States as of 2013, claiming the lives of nearly 585,000 people. That is over half a million people that the field of modern oncology let fall through the cracks. Does that sound like successful treatments? 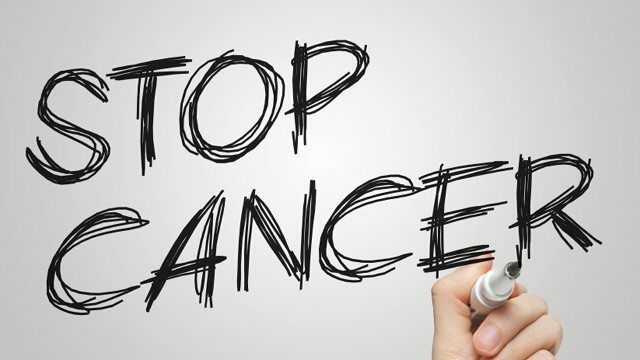 Put another way, cancer was the primary cause of one in every five deaths in the U.S. in 2013. If the World Health Organization’s forecasts are correct, global cancer incidence is set to rise from 14 million annual cases currently to 22 million cases two decades from now. In short, cancer is poised to potentially become the leading killer in the U.S. and possibly around the globe. If oncologists are expecting better drugs at higher costs why is the lookout so gloomy? There is so much room for improvement that one would think oncologists would be open to suggestions on how treatments could be improved safely without great additional cost. This is exactly what Natural Allopathic Medicine’s goal is for cancer patients. My approach to cancer treatment is to teach people to set up a field hospital in their own homes so no matter what treatments they decide on they have a better basis to survive their cancer. It is ridiculous to assume that one’s standard cancer treatment is sufficient and that one does not have to bother with anything else that will support a person’s immune system or one’s bodies ability to negotiate the toxic storms from harsh and dangerous treatments like chemo and radiation. Even all types of surgery are mitigated with magnesium intake before, during and after surgery. I offer a series of books and consultations that teach people how to treat themselves. The fact is that it is simple and relatively inexpensive to do so and can only help and hardly ever hurt because there are no poisons (pharmaceutical drugs) used in the Natural Allopathic protocol.